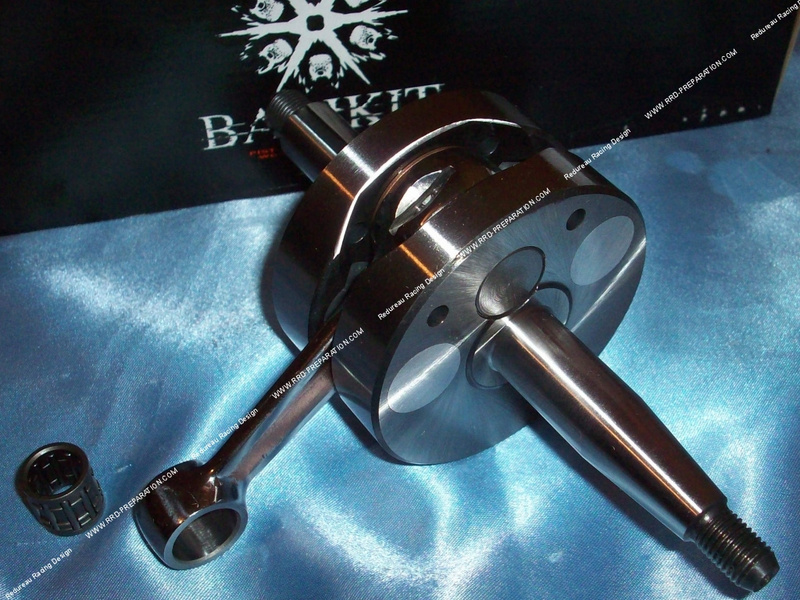 Here is the highest-end crankshaft from BARIKIT (just below the BRK) for motorcycle 50cc MINARELLI am6. This model is cut in good steels, it has a rod reinforced polished finish that rests on an increased crankpin. Unlike the model SPORT, this vilo has a real work on the lubrication but also on the balancing and real solid masses, it thus offers a gain of performances. It will accompany very well your kits 50cc or 70cc of small and big power. This vilo with its weight has excellent inertia. Delivered with its needle cage. This version in bristles (bearings) Ø17mm is to be mounted with bearings size Ø17mm X Ø40mm X L14mm. A great value for money. It also has a very nice finish. The needle cage has been increased in Ø12 by 16mm by 16mm to reduce friction and increase strength. The cage delivered is a model with good quality studied lubrication.